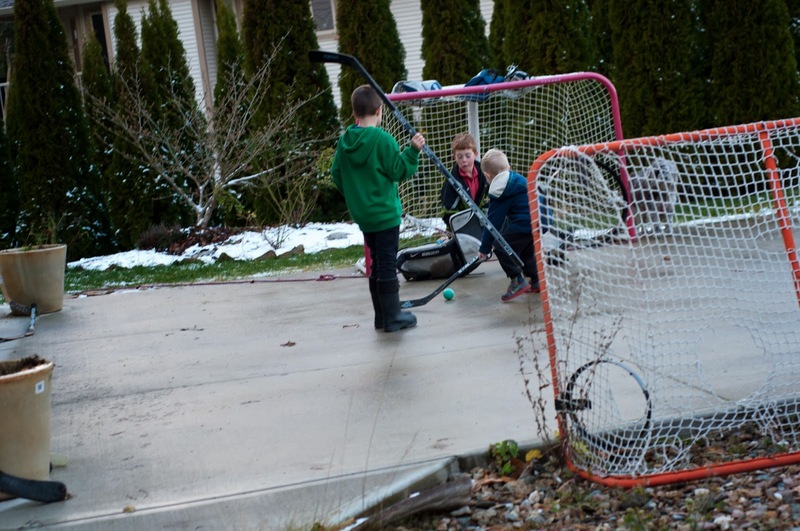 Last Sunday, one of the neighborhood boys had a couple of friends over and they were playing street hockey. I could tell Fynn really wanted to play with them but he was scared because the kids are a in Sophie's grade and he was intimidated. I walked over to the boys and asked if Fynn could play. They were great about it and said sure. I went to get Fynn ready to go outside and he kicked up a real fuss. He really wanted to go, but his own "baggage" was keeping him from going out . So, I pushed him a bit and out he went. He had a blast playing and when the boys were getting ready to wrap it up, he wanted to go inside with them and watch a movie with them. I'm proud of Fynn for stepping out of his comfort zone and enjoying the benefits of that little "push." But good for Fynn! I have had to do the same for Evan and many occasions because he would rarely try something new if I wasn't there to give him that needed push. Camps have always been a big one!